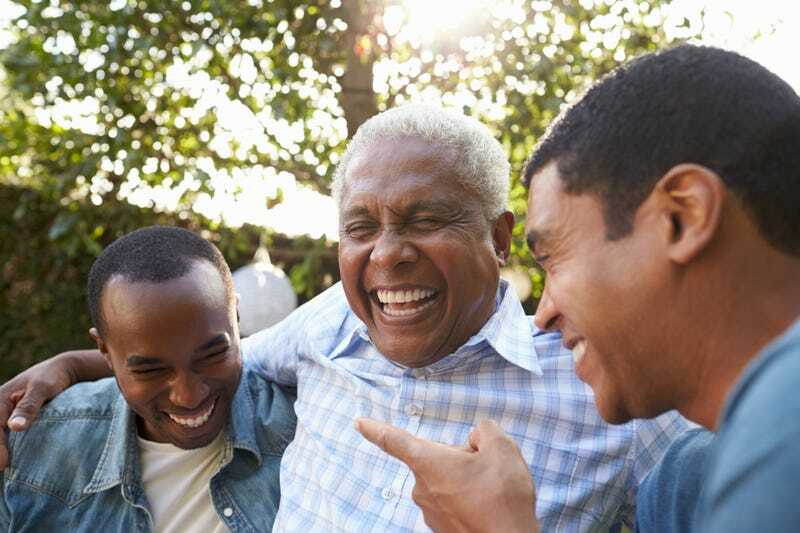 Finally some good news for black folks on the health front: Two new studies indicate that black men with advanced prostate cancer may do better with the disease than even white men if given the same access to care. The Associated Press reports that the two studies were presented on Friday at the American Society of Clinical Oncology meeting in Chicago, challenging conventional wisdom around racial health disparities. Her report pooled results from nine studies in the U.S., Europe and Asia, and focused on the more than 7,000 whites and 500 blacks with advanced prostate cancer who had stopped responding to hormone therapy. Patients’ average age was 69 and most had cancer that had spread to their bones. The men were all treated with standard chemotherapy. The analysis found that black men fared at least as well as whites, with both groups surviving almost two years after starting treatment. But researchers found a slight survival advantage for black men—they were about 20 percent less likely than whites to die—when taking into account patients’ individual characteristics including tumor type and levels of PSA, a blood protein that can be elevated in cancer. A separate, smaller study, led by Duke’s Dr. Daniel George, compared the prostate cancer drug Zytiga with prednisone in 50 blacks and 50 whites whose cancer had spread. The drug stopped cancer from spreading further for about 17 months on average in both groups. But declines in PSA levels, considered a promising sign, were greater in black men. Blacks also had different side effects—less high blood pressure but more trouble with low potassium levels. Janssen Pharmaceuticals, Zytiga’s maker, paid for the study but was not involved in the research. That blacks may do even better underscores the need to dig deeper to find out why, said Halabi. Genetic testing in the study found racial differences that might make blacks respond better to Zytiga than whites, and the results suggest that the drug may have greater benefit if started earlier, before cancer has spread. As we know, black men are more likely to get prostate cancer and to die from it than white men, but the new research suggests that getting proper and timely treatment (i.e., access to care) will help balance and even tip the odds in African Americans’ favor.